Stig Blomqvist enjoyed a successful opening day, taking a stage win and ending the day on top. British Porsche 911 rallying team, Tuthill Porsche, dominated the opening day of competition in the East African Safari Classic Rally. After three gruelling stages, Tuthill 911s occupied three of the top four general classification placings. Stig Blomqvist, the 1979 World Rally champion, heads the overall timesheets by just over a minute from the Kenyan duo of Ian Duncan and Amaar Slatch in their Ford Capri. The 85.18-kilometre ‘Majengo 1’ stage was the first test for the 2013 East African Safari Classic cohort, with a mix of smooth, flowing river causeways and twisting roads greeting the competitors. 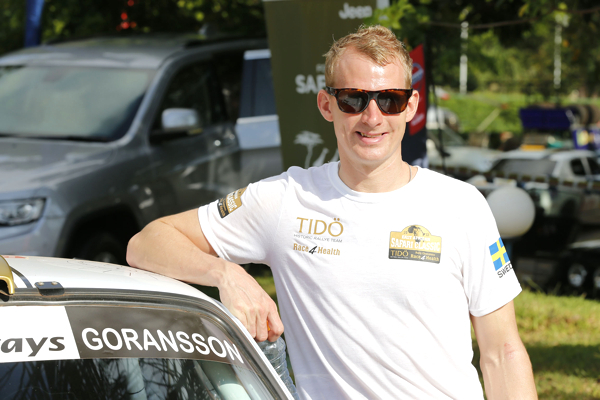 Blomqvist started the event in Mombassa as one of the favourites. Blomqvist got his rally off to an ideal start with victory on the opening stage. Safari debutant, Richard Göransson finished the stage second quickest, the Swedish Touring Car driver acclimatising well to his first Porsche 911. Blomqvist continued his impressive start to the event with second place on stage two. However, Göransson was less fortunate, running off the road on a tight right-hander and losing 25 minutes after having to dig the car out the soil. Goransson was fast on the first stage, before going off piste on the second. Björn Waldegård had a more fruitful time of it on the second stage, after being slowed by animals – “They weren’t wild, so nothing too exciting” – on the opening encounter of the rally. The third and final stage of the day took the Porsche 911 drivers over some of the most famous Safari roads, used in the event for over 50 years. Blomqvist and Waldegård came home fourth and fifth, consolidating their overall positions. Behind Blomqvist’s Porsche 911 and Duncan’s Ford Capri, Waldegård ended the day in third overall, nearly four minutes behind his fellow Swede. Belgian duo, Gerard Marcy and Stephan Prevot wound up fourth in their Tuthill 911. Remote services add an extra challenge for the Tuthill team, but attract plenty of local fans. Keep up to speed with Tuthill’s East African Safari Classic Rally campaign here on Total911.com.